Statistical data analysis is the backbone of sound business decision making. Finding the right tool to analyse a particular business problem is the key to such problem solving. Learning the fundamentals of statistical reasoning and data analysis - you will be on the way to becoming a better manager, analyst or economist. 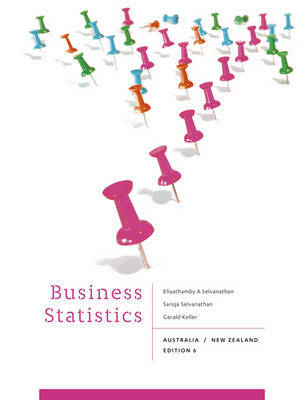 By providing a framework for solving statistical problems, this sixth edition of Australian Business Statistics teaches skills that you can use throughout your career. The book shows you how to analyse data effectively by focusing on the relationship between the kind of problem you face, the type of data involved and the appropriate statistical technique for solving the problem.